Installing Java, Java Program Development , Java Source File Structure ,Compilation, Executions. Lexical Tokens, Identifiers, Keywords, Literals, Comments ,Primitive Datatypes, Operators Assignments. Use of Modifiers with Classes & Methods, Design of Accessors and Mutator Methods Cloning Objects, shallow and deep cloning, Generic Class Types. Polymorphism in inheritance ,Type Compatibility and Conversion Implementing interfaces. CLASSPATH Setting for Packages , Making JAR Files for Library Packages Import and Static Import Naming Convention For Packages. In-built and User Defined Exceptions, Checked and Un-Checked Exceptions. Operation on String, Mutable & Immutable String, Using Collection Bases Loop for String, Tokenizing a String, Creating Strings using StringBuffer . Buffer and Buffer Management, Read/Write Operations with File Channel, Serializing Objects . The Delegation Model of Event Handling, Event Classes, Event Sources, Event Listeners, Adapter Classes as Helper Classes in Event Handling. 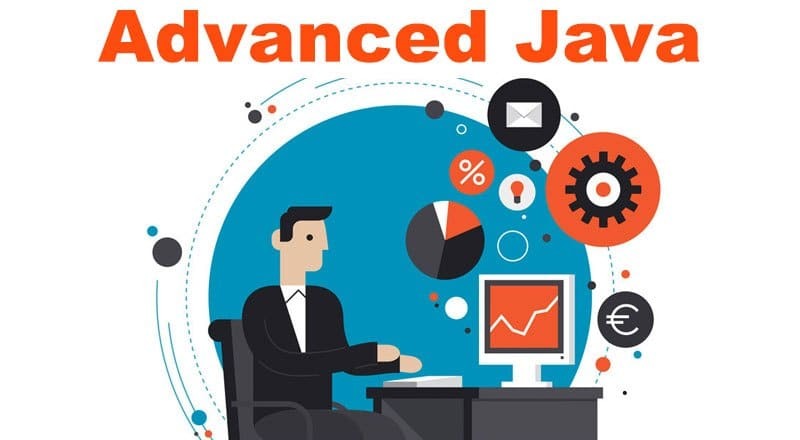 Introduction to JDBC,JDBC Drivers & Architecture, CURD operation Using JDBC, Connecting to non-conventional Databases.